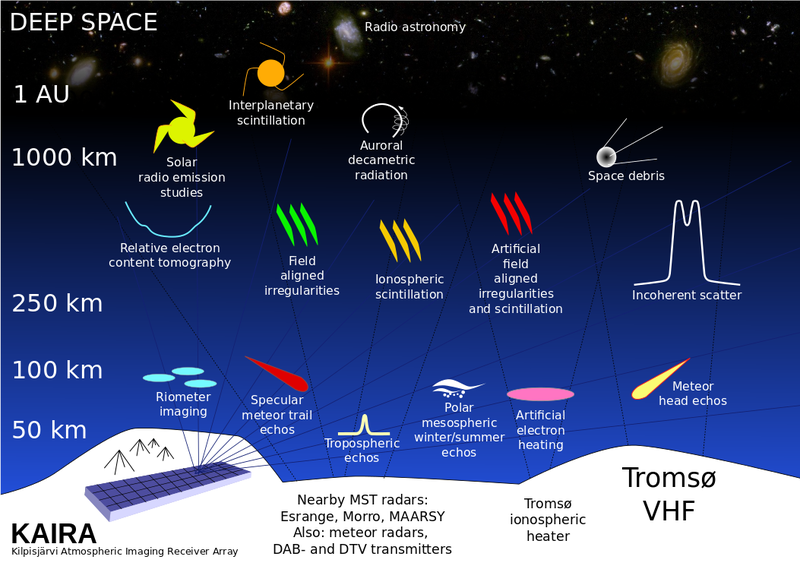 The wide bandwidth of KAIRA (Kilpisjärvi Atmospheric Imaging Receiver Array) and LOFAR (Low Frequency Array) is opening up new perspectives in the study of ionospheric scintillation. 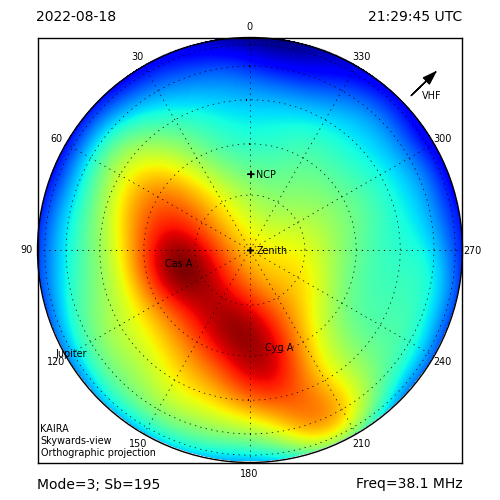 Direct observing at station level has enabled observations which combine low-band and high-band modes to cover the full available frequency bandwidth from 10 to 250 MHz. For the first time, the evolution of scintillation from weak to strong scattering regimes has been directly observed in dynamic spectra. "Scintillation arcs", seen previously in two-dimensional power spectra from interstellar scintillation observations, have been noted for the first time using observations of ionospheric scintillation. This offers new methods of studying the plasma structures giving rise to the scintillation. It was an excellent talk... really interesting, great results and a lively discussion afterwards. Thanks Richard! Richard Fallows (right). Photo: E. Turunen. That also prompted us to investigate some of the riometry data that we had taken and look at some of the scintillation effects that we see in that. It was certainly good to examine some of the data with an expert at hand to advise us on what we were seeing.